this politician who catches the attention on every statement or TV appearance he makes. 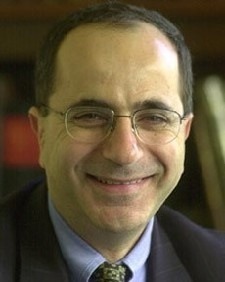 His surprising information and intel from “unknown but reliable” sources were always the subject of debate among Lebanese. The forced to become politician was brought back from Brazil to lead the Lebanese National Bloc after the 2005 revolution. The baby-face politician had (and still have) difficulties expressing himself in Arabic, making him a funny figure on TV. 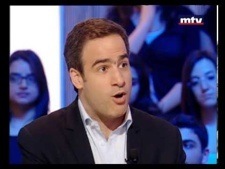 The only son of late president René Mouawad, who was assassinated in 1989, made his major political appearance after the March 14th 2005 where his mother Nayla Mouawad failed to impose herself as a strong politician. 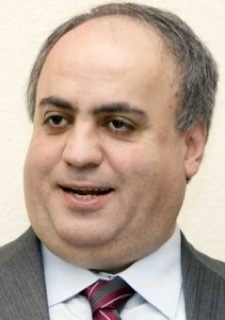 Michel’s second interest was to stand in face of the Frangieh’s feudal family in his hometown of Zgharta. But his lack of character and the lisping in his speeches put a smile on Lebanese’ faces. 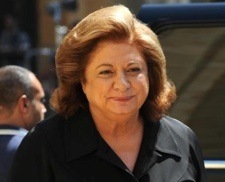 Another victim of the political subordination in Lebanon. 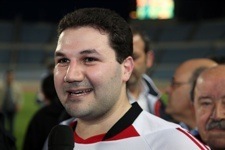 Son of the late president Bachir Gemayel, he was born in the same year his father was assassinated. He was not able to inherit the charisma of his father from watching video tapes, and his difficulties in finding the right words in Arabic made him an easy target for media spoofs. Just like her picture, she is aphonic. Her very rare TV appearances were also speechless; the only incident the Lebanese remember about her is when she stumbled and fell in a small hole, and asked the help of three man to lift her up.